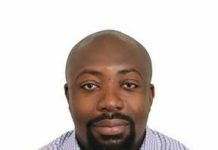 Utility service providers have justified calls for an upward tariff adjustment following a GH¢1.2billion loss in revenue, attributed to the tariff reduction announced by the Public Utilities Regulatory Commission (PURC) last year. In March 2018, the PURC announced reductions in key utility costs on energy charges – ranging from 10 percent to 30 percent for the customer categories based on levels of consumption. The review was mainly to ensure efficient and equitable tariffs, in addition to ensuring that the tariffs were also relevant to the socio-economic environment. At the time it was understood it could further impact operations of companies if their new tariff adjustment proposals were not considered. But according to the Ghana Grid Company (GRIDCo), its revenue declined by GH¢241million while also recording a financial loss of GH¢76million as at September 2018. Also, it said they experienced delays in Debt Service and breach of financial agreements, as well as deferment of projects and some maintenance works. It therefore requests an upward tariff review to 4.897Gp/kWh from 2.5107 Gp/kWh, being a 95 percent increase. This was justified by increased an asset base, which has been up by 108 percent since 2016; upgrades and expansion of the network; and increased operations and maintenance costs of NITS among others. The Northern Electricity Distribution Company (NEDCo) also revealed a substantial net revenue loss of more than GH¢190million. 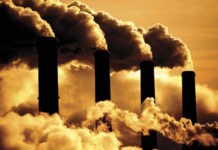 Meanwhile, it has a projected energy loss of 26 percent for 2019, which is expected to reduce to 21 percent by 2023. It insisted that the approved PURC tariff in 2015, and the subsequent major downward revision on March 15, 2018 “resulted in a significant reduction of net revenue per kWh of electricity sold”. NEDCo said it has been making losses over the years. Loss levels for 2014 and 2015 totalled GH¢98.105million, and GH¢230million in 2018 alone. But, in addition to the inadequate revenue from approved tariffs, it also attributed its high levels of losses to an inadequate number of economic customers; that is, Commercial and Special Load Tariff (SLT) customers. Other factors include the large operational area with low customer density; huge receivables as a result of the perennial MDA indebtedness – GH¢841,041,525 as at December 2018. 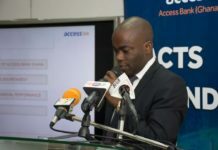 The Communication Manager, Maxwell Kotoka, speaking in an interview on the backdrop of a ‘Public Hearing in respect of the 2019 Major Tariff Review’ in Kumasi, said even though the company had been recording any losses prior to the tariff reductions, it is on the path to recovery despite not making any profit. However, he stated that they realised the losses when the tariff review took effect last year. 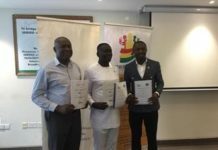 The management of NEDCo therefore said it will need a distribution service charge (DSC) of GH¢0.430526/KWh to finance its operations. This is an upward review of the current DSC of GH¢0.307555/kWh. This is expected among others to help the company be enable to generate adequate revenues to finance its operations; recover costs required for reliable, safe and uninterrupted operation; and earn a reasonable return on its investment. Similarly, the Electricity Company of Ghana (ECG) also pointed out similar challenges for which it duly also argued for service charges to be increased. But the PURC noted that the major considerations taken into account in arriving at the tariff decision included consumer and investor interests; economic development and revenue requirement. Others were the natural gas prices; re-negotiation of power purchase agreements (PPAs); prudent and efficient cost of utility companies’ operations; as well as the impeding Private Sector Participation (PSP) Concession within the Electricity Distribution Sector. 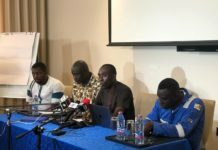 The Technical Committee Chairman of PURC, Mr. Ishmael Agyekumhene – responding to the claims, urged the utility companies to desist from pinning their losses on the tariff reduction. He noted that others factors may be accountable for the losses. He said the Commission is yet to arrive at any decision, as it is still scrutinising the proposals for increases in service charges. Mr. Agyekumhene however observed that any rush to increase tariffs could affect a number of players in the manufacturing and service industries.